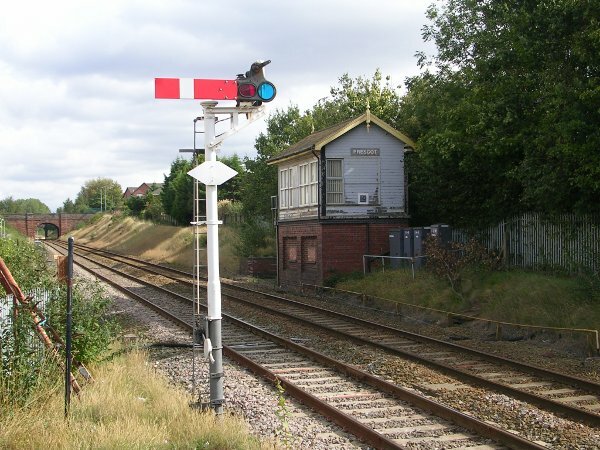 Prescot retained a traditional signal box controlling five semaphore and two colour light signals until 2012 when the signals were all replaced by colour lights controlled from St Helens, and the box was demolished. The sidings here are disused. 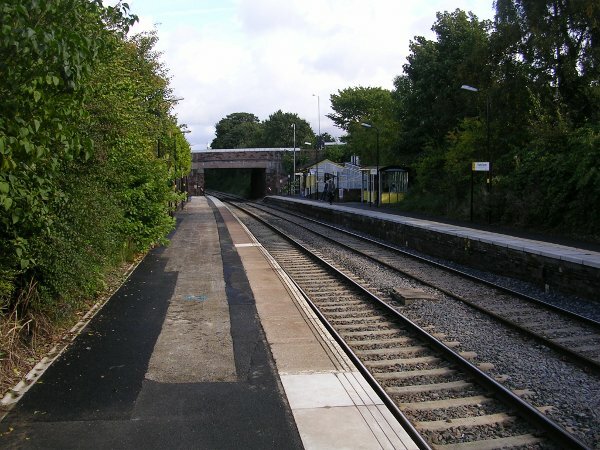 Seen here with the electrification almost complete, just one contact wire missing. Formerly known as Shaw Street. 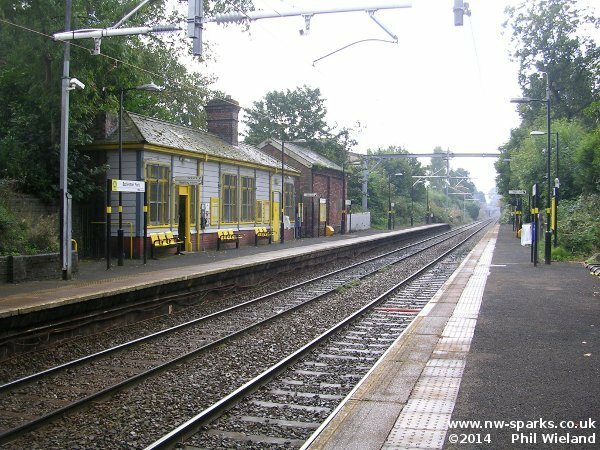 The signal box here controls colour light signalling between Prescot and few miles north of St Helens. 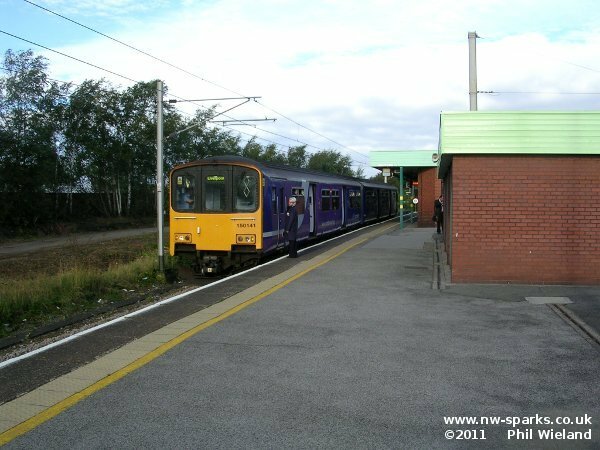 After Bryn we come to Ince Moss Junction where passenger trains continue towards Wigan while a single track chord turns south to Bamfurlong Junction. This chord is also to be electrified. 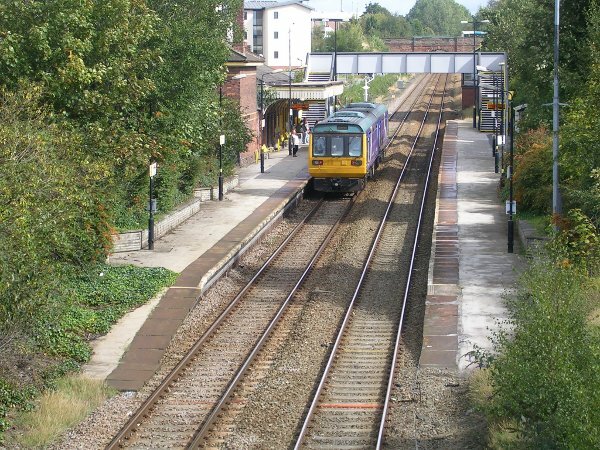 Stopping services from and to Liverpool normally reverse in platform 6. 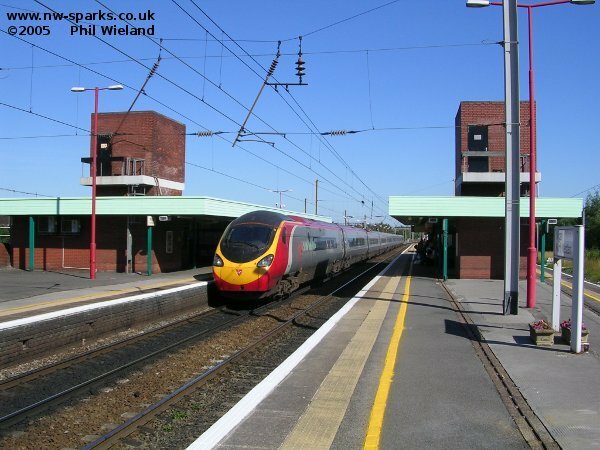 Here is a class 150/1. 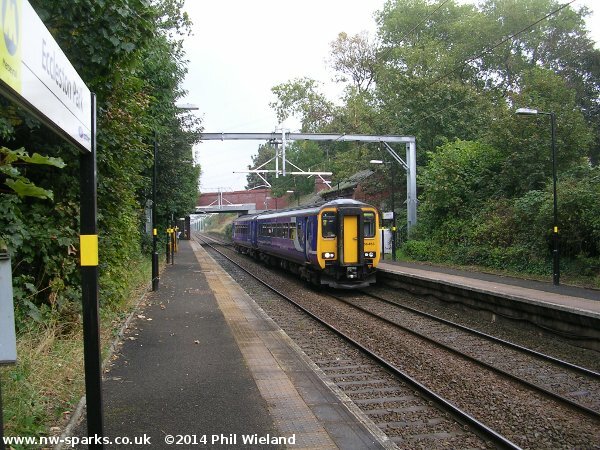 Wigan is, of course, home to electrified services on the West Coast Main Line already.